Known for her breadth of knowledge in estate and trust administration, Linda brings a wealth of experience in addressing her clients' non-tax issues as well as tax-related matters. When she’s not reading the Uniform Trust Code, Linda may be found cycling on the Mount Vernon Trail or attending Nats games. Linda advises clients on forming and revising their estate plans and analyzes estate, income, generation-skipping transfer, and gift taxation matters for high net worth individuals and families. Linda’s significant experience also includes analysis of complex state trust administration and non-tax issues, charitable gift planning and real property transfers. Prior to joining IPB, Linda practiced law for seven years at an AmLaw 100 firm. During her tenure in the Estates, Trusts, and Tax Planning Group, she gained significant experience with the administration of large and complex estates, formation of private foundations, and high net worth guardianships. 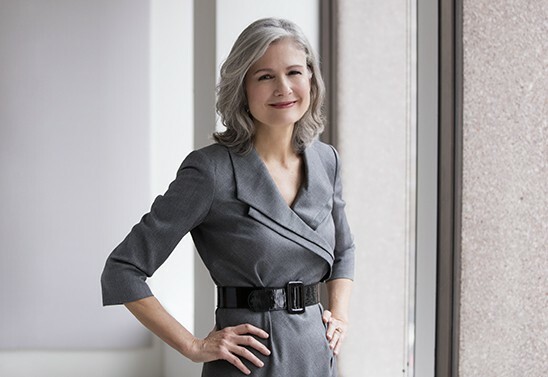 She is the author of articles on trusts, estates, and tax topics and has spoken at the ABA, DC Bar, and breakfast briefings on fiduciary administration issues. Vanderbilt University Law School, 1986, J.D. University of Tennessee, 1981, B.S. Structuring inter vivos trusts to use client’s DSUE and to freeze value of closely held stock. Analysis of tax and trust law implications of turning off the grantor trust status of an irrevocable trust. Creation and administration of GRATs funded with Series LLC interests. Non-judicial termination of irrevocable trusts through decanting. Development of private foundation individual grants program and obtaining IRS determination letter. Petitions to probate court to approve post-mortem transactions under the estate administration exception to the private foundation self-dealing rules. Taking Charge of Your Financial Wellness: How to Maximize Your Employee Benefits to Secure a Comfortable Retirement. WIPL: Executive Leadership Forum (panelist), October 4, 2018.